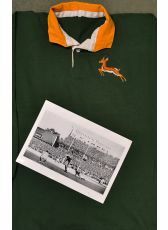 1940s-1950s Match worn Springbok Rugby Jersey: formerly the property of Jack van der Schyff, in excellent condition, with white patch bearing the no. 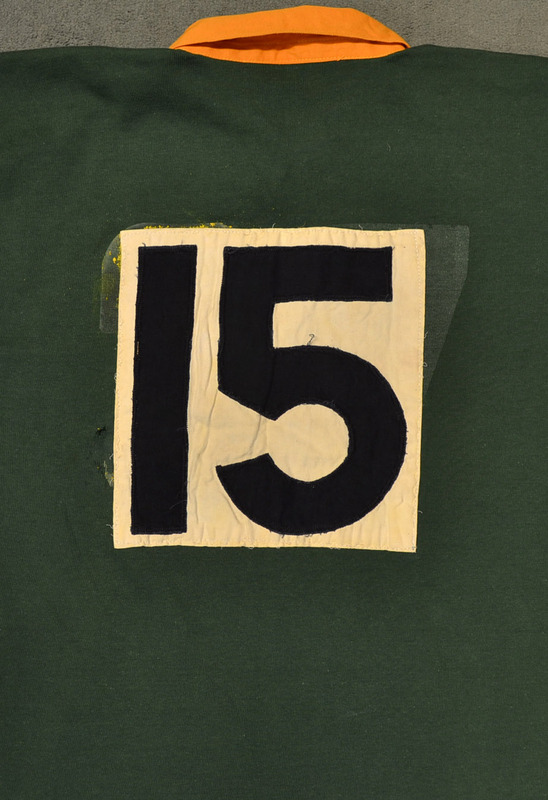 15 in black almost wholly covering previous large stick-on gold numbers. 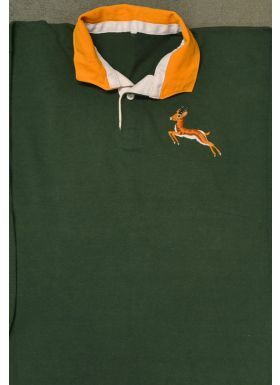 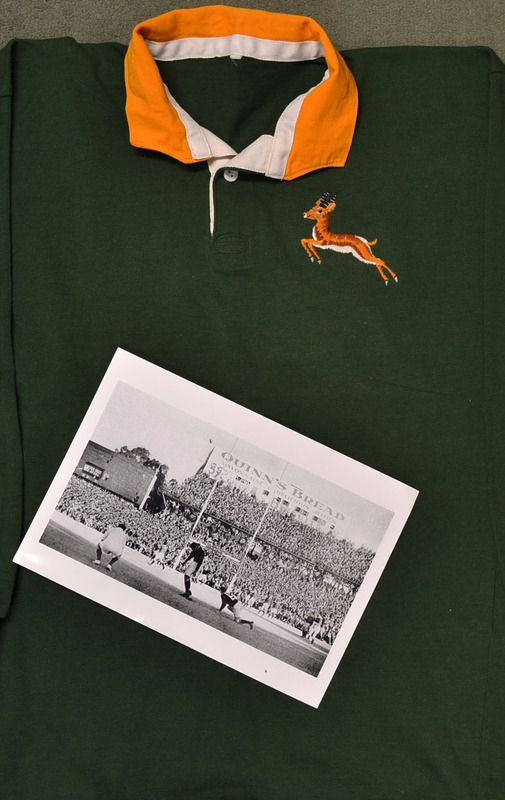 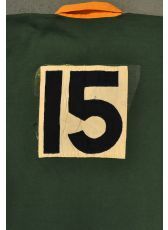 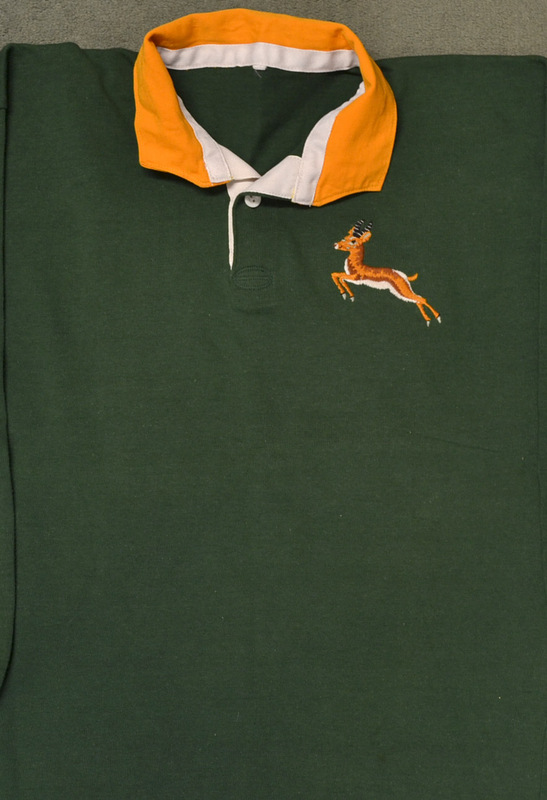 One of his five test jerseys; the type of Springbok badge used is of that correct vintage.